We are delighted to announce exciting news about our future. 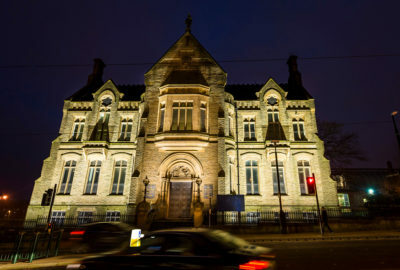 Oldham Council’s plans to build a new Heritage and Arts Centre have been given the green light after the project was handed a vital double injection of funding. The Heritage Lottery Fund (HLF) has now approved a grant of £3.379 million towards the project following a successful Round 2 funding bid. The news means the total funding package needed for the project to proceed is now complete – thanks also to a once-in-a-lifetime offer of significant funding from local philanthropist, Sir Norman Stoller. Through his Charitable Trust, which has given millions to good causes since the 1980s, it can be revealed today that the local knight is donating £4 million – 25 per cent of the total cost – to realise these exciting plans. D) Work to address the future of other heritage buildings on Union Street. Today’s announcement means the contractors for the Phase A Heritage and Arts Centre project, Gilbert Ash, can start work on-site early next year. 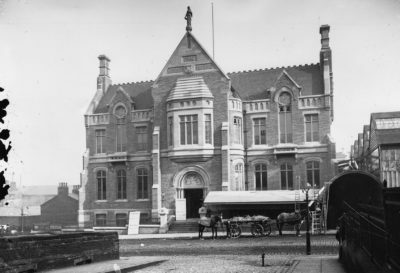 The grade-II listed former library building on Union Street will undergo vital restoration work and be restored to public access as home to the Heritage and Arts Centre. It will showcase the story of Oldham’s past from its time as the cotton spinning capital of the world to the present day with gallery spaces, archives, public research rooms, bars and meeting spaces. In line with public feedback, the venue will enable more of the borough’s collection of objects and works of art to be on display – and increase public access to heritage assets including the museum and archive collections. The new centre will house improved educational facilities – including volunteering and training, outreach and engagement programmes. An important part of the restoration work will see the former lecture hall in the venue becoming a performance studio space for use by partners like Oldham Theatre Workshop. Jean Stretton, Oldham Council Leader, said: “This is a real achievement for Oldham – we are absolutely delighted to have completed this funding package with our partners. We’re extremely proud of our history and heritage here and it is vital that is a key part of the regeneration of Oldham so that we can protect it for future generations to enjoy and appreciate.The HLF have been crucial players in this project and have offered not just invaluable funding but expert advice and guidance. Their input has been essential and they have truly shared our vision for this scheme. Sir Norman Stoller said: “The Stoller Charitable Trust takes great pride in investing in the Borough of Oldham when we see schemes that can deliver genuine and tangible benefits to its residents. We see our relationship with Oldham very much as a long-term partnership in which we endeavour to work together to improve the lives of all residents – and especially our young people. Planning consent for the Heritage Centre and Coliseum Theatre schemes was granted in March 2015, followed by detailed discussions about funding, planning and phasing options – work in which the HLF played a key role. Gallery Oldham will keep people up to date with progress through our website, exhibitions and other consultation events. Watch this space!